Interested in Archery? Need an instructor or a coach? Looking for a group activity or maybe even thinking of starting an archery club? Solutions In Archery can help you get started. Solutions In Archery was created when Solutions In Archery president Mike Cullumber saw a need to provide a central location for people to come and learn about the Sport of Archery. Solutions in Archery is not a retail store, we do not sell archery equipment. We can advise our archers what and where to purchase archery equipment. 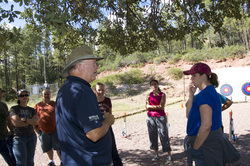 Solutions In Archery offers an array of instructional courses for students at all levels of Archery skills. Certified archery instructors can provide a wide range of programs and activities tailored to appeal to children, adults and families in a safe and structured environment. We also offer exclusive classes designed to supplement home-school and charter school programs. We provide the equipment for these unique and customized educational programs. Solutions In Archery Owner Mike Cullumber has been involved in Archery for over 20 years. Before that, he was involved in the Sport of Volleyball. Coach Mike is a USA Archery Certified Level 4-NTS Coach, An International Judge for USA Archery/World Archery and has founded two Junior Olympic Archery Clubs in Arizona. 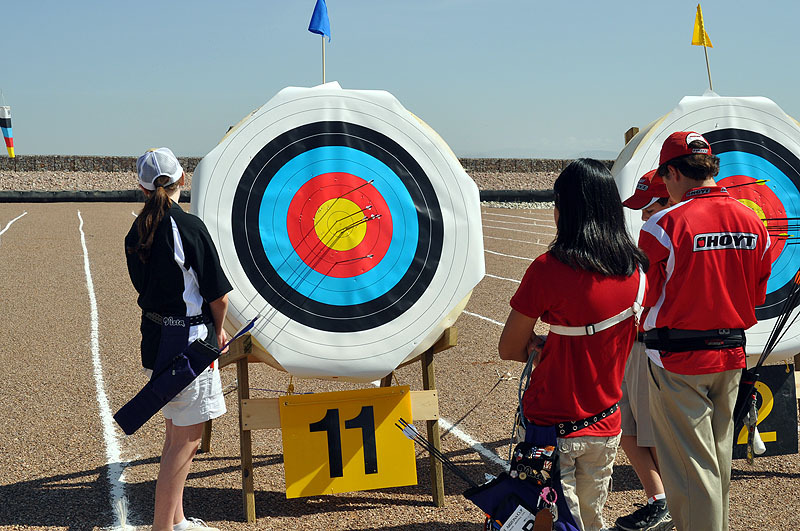 Solutions In Archery has the ability to help your organization host quality Archery events. Whether you are looking to organize Tournaments, Corporate Team Building, Scouting events or a fun filled birthday party, Solutions In Archery can help. Go to the Events Page for a full listing of Target Archery Events.